Now the second fastest shrinking city in the U.S., Pine Bluff, Arkansas is reinvesting in its downtown through development of housing and allied public works projects that support the renewal of an urban living option in the Arkansas Delta. Existing lakefront infrastructure functions like a cul-de-sac, failing to invite the spontaneity and vitality intrinsic to downtown streets. The new Saracen Wharf integrates existing pavilions and fishing piers into interconnected loops that eliminate the conventional dead-end experience of piers. The existing pavilions were built for single functions and holiday events. Loops, alternatively, urbanize the lakefront, intensifying overlaps among additional programmatic development being introduced to the lakefront—some informally. 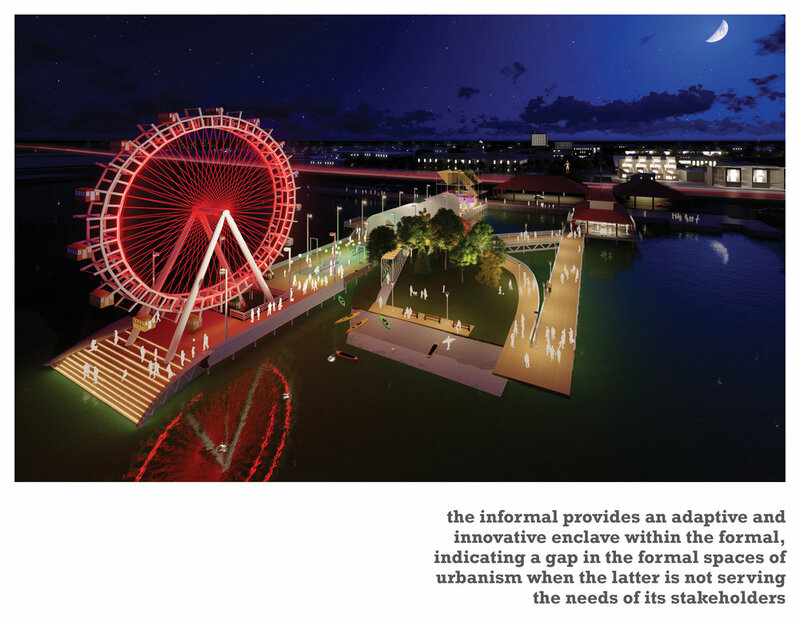 New programs include a Floating Lawn, Boathouse, Beach with kayak and paddle boat launch, Boardwalk, Pavilions for retail and food vendors, and a Ferris Wheel on a Wharf that recalls the promenade architecturale. 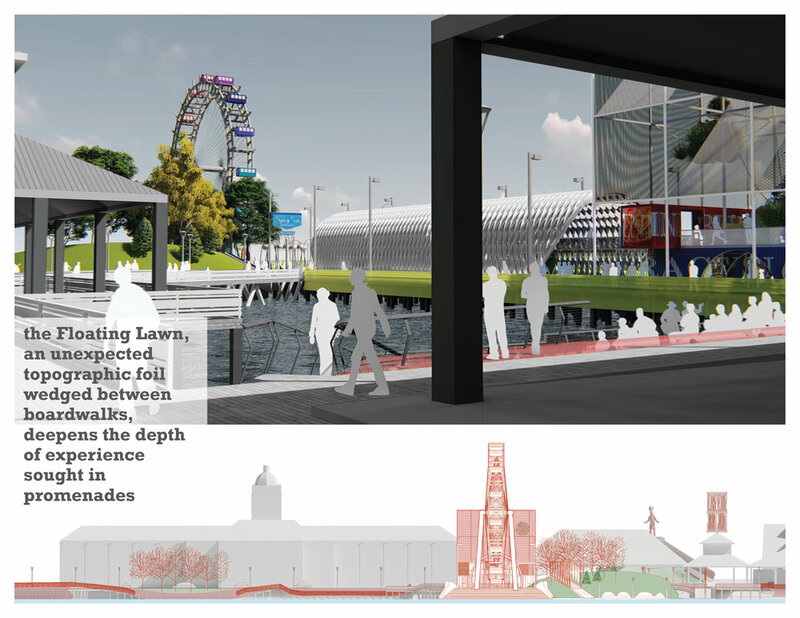 The Floating Lawn, an unexpected topographic foil wedged between boardwalks, deepens the depth of experience sought in the promenade concept with its constructed views, changing vistas, and multiple experiences contingent on one’s movement.